The Athens Biennale, in order to design its curatorial themes, wants to measure the temporal pattern of emotions as a societal metric. Happiness is not just a function of personal experience. It is also the property of groups. 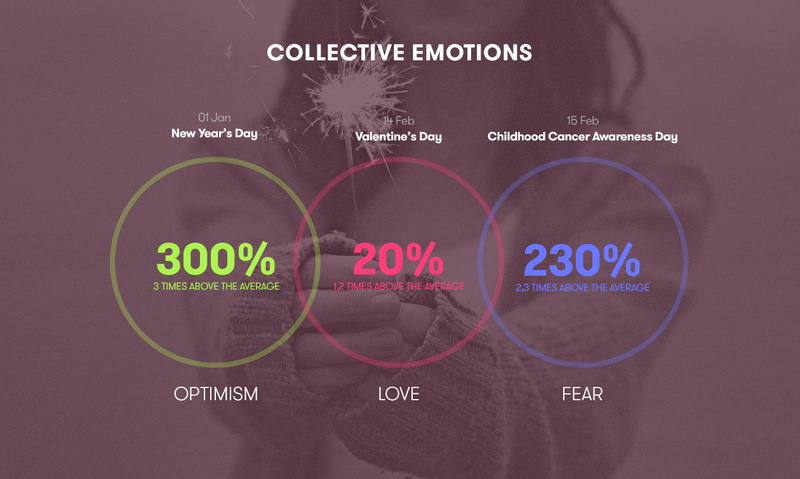 For this task, we calculated the collective emotions/sentiments from a very large data sample, extracting information about how people in Greece feel, from the way they express themselves in social media. We scanned social media posts for occurrences of phrases that indicate feelings, and then we plotted their frequencies in order to calculate a rough global mood.